Inspired by true events, this high-flying, feel-good story is sure to warm your heart and cool down your summer! Eddie "The Eagle" Edwards - an unlikely but courageous British ski-jumper, enlists the help of a rebellious and charismatic coach to fulfill his lifelong dream of becoming an Olympian. This heart-warming tale starring Taron Egerton and Hugh Jackman is out now on DVD and Digital HD! 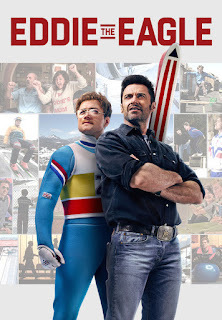 Purchase Eddie the Eagle on Blu-ray for $15.00 & FREE Shipping on orders over $49. 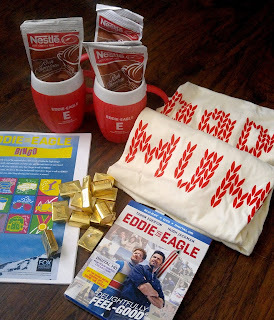 Have an Eddie The Eagle Bingo Movie Night! When you have a movie night, you need great food, so pizza is a must! Who doesn't like pizza? 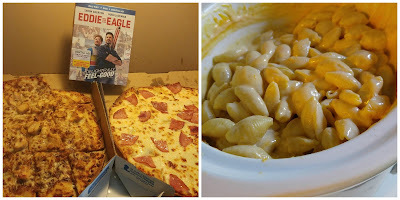 Not only did we have pizza, but I made crock-pot mac and cheese as well! Coat the inside of the crock pot with butter and garlic! Cook pasta and toss it in the butter/garlic mix. 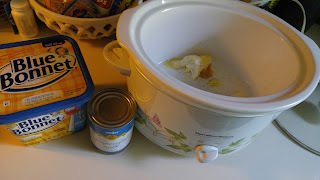 Add evaporated milk, salt and pepper. Not only do you need good food, but games are a must as well! 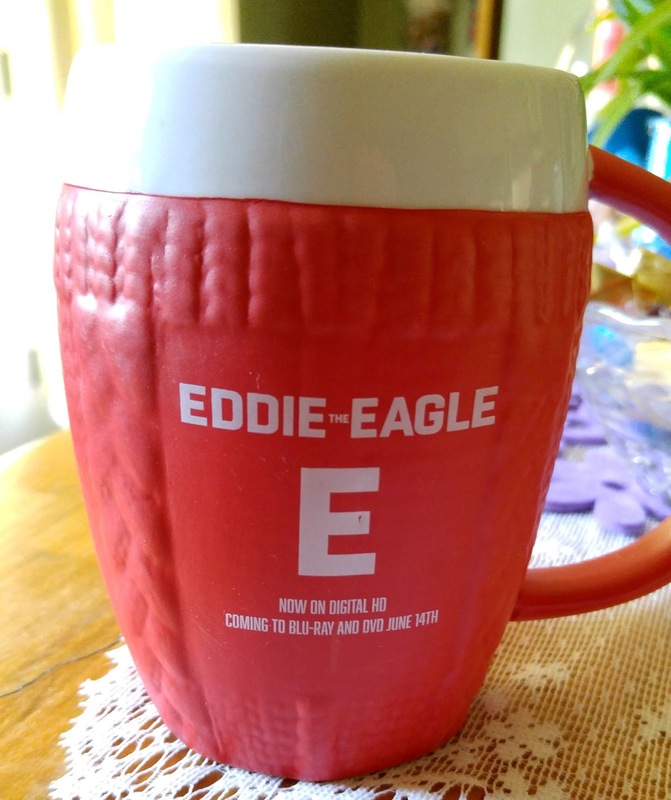 The 80's were a good time, weren't they? 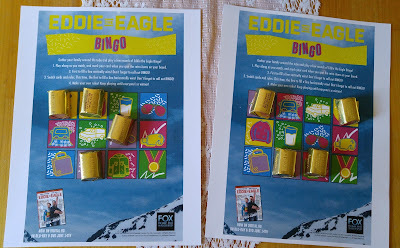 Relive the good ole days and introduce your children to the 80's with Eddie the Eagle Bingo! Play along as you watch the film and sip hot cocoa. Winner takes home the Gold! 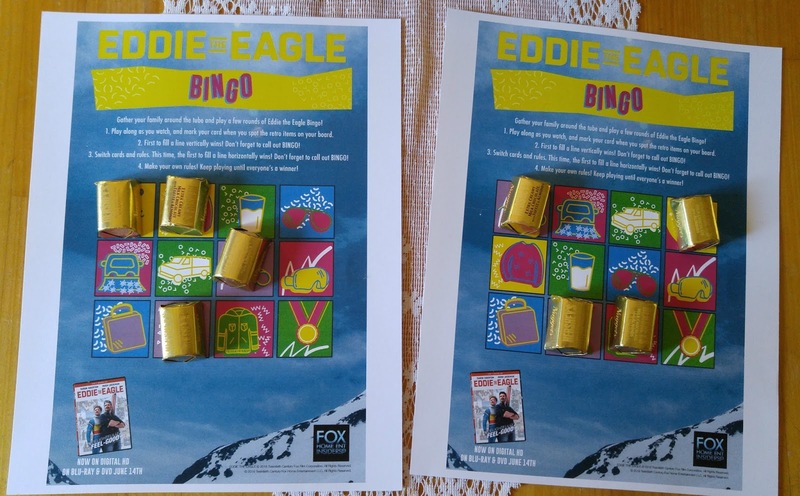 All you need to do is make some fun bingo cards that feature key items (glass of milk, skis, sweater, snow, medals, gloves, etc.). 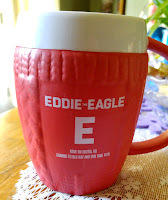 Eddie was a big milk drinker, so either serve up milk or hot cocoa for the kids! Of course a sweet treat like cupcakes would be a great addition to a cold glass of milk! Pre-heat oven to 350 degrees and line cupcake pan with liners. Follow instructions on cake mix box and prepare mix. Freeze marshmallows until you are ready for them (they do not melt as fast if frozen). Fill liners 1/2 way full and gently push three marshmallows in middle. 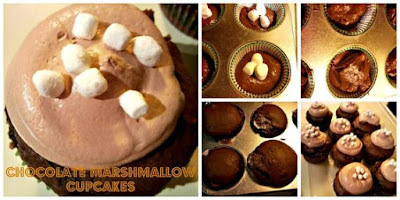 Once cooled cover with COOL WHIP (I used a pastry gun) and then sprinkle with Jet-Puffed MALLOW Bits Vanilla.